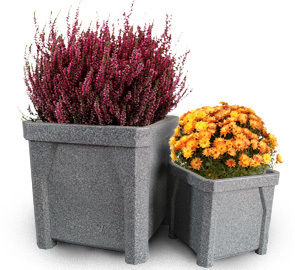 Made from recycled plastic polyethylene, these planters are ideal for use both outside as well as inside. They will not fade, rust or crack. The four molded-in handles make moving it around a breeze. Available in either the solid or granite color options shown below.